We are really proud to present the first guest post on the blog, written by our good friend and fashion expert LAMA from l'atelier de lama. He has an impeccable taste, be sure to check him out. As we have noticed in the past months fashion houses are making changes in their websites, Marc Jacobs just imposed a new e-marketing on their site, which actually looks like "The Sims", Martin Margiela is adding an online store to their "minimalist" designed website next month. 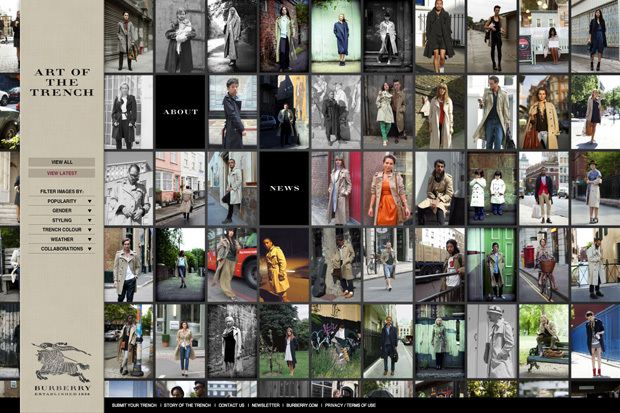 But apparently luxury brands are investing in viral marketing, the British house Burberry opened the road with its "Art of Trench" website last year, where they invite trench coat owners to post photos of the different ways in which they wear them. 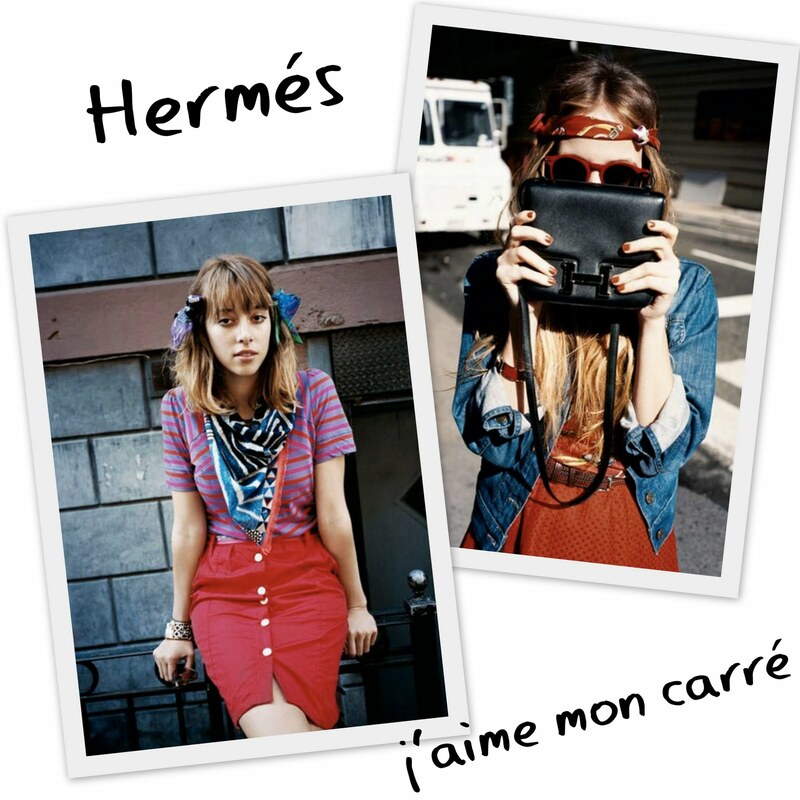 Now the French house Hermes copied them by opening "J'aime mon carré" where they create their own street style photographs of trendy girls from the fashion capitals London, Paris, New York, Milano, and Tokyo. In my opinion I think it’s directly inspired by Burberry’s “Art of Trench” but whatever, we know that copying is a very common thing to do in the fashion industry, and on the other hand it will open a new market and not just focus on the returning-costumer luxury market.